Buying a computer can be expensive and shopping for a computer can be a frustrating experience. 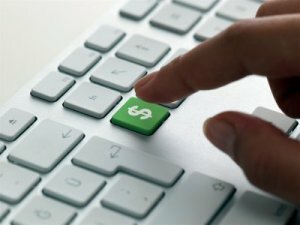 This is a guide about saving money on a computer. Many things to consider when buying a new computer. First and foremost, does it need to be portable? Shopping for a laptop is totally different than shopping for a desktop. With technology moving as it does, you now have to consider whether you can do with a tablet or notepad. Even a good cell phone may have all the functions you need from a computer. If you aren't sure if you need a portable option or not, consider what you want to do with your new technology. Sometimes the fastest and newest isn't what you really need. If you can determine your needs you can figure out what you can get away with; to buy just a little bit better so you can expand your new technology in the future if you need to, or have it already that little bit faster so you can move with your needs without having to pay for upgrades. Let's take a look at basic functions: home, business, pleasure, and research. Usually for home, business and research, you may need to be able to print. That narrows down many of the portable options available today. For example, an tablet is a powerful machine but you might not be able to print from it. If you need the option to print, then you might need a desktop or laptop. If you want a machine for pleasure, then printing may not be an issue and you have to determine the type of pleasure you want. Music, games, social activities, general internet and communication can all be acquired from a notepad or notebook, at which point an Ipad or tablet may be the perfect choice. My only concern with these machines is you pay for the applications and for their use. If you are trying to buy within your means having an additional monthly expense may not be in the budget. To be honest, my experience with the new technology coming out is very limited. I am doing more research as well, and I am holding off. My old laptop really does everything I want technology wise with the exception of video chats. My laptop was made before they had a built in camcorder. I know with the research I have done, I want a piece of technology that can print. That knocks out the Ipad 2 until one is made with a USB port for external devices. There are already similar devices to the Ipad that have USB so it will probably happen with the Ipad 3. I want WiFi capability so I can get on the internet just about any where. Whatever devise I get must support Skype or Vontage and have built in video capability. So you see, you need to put a lot of research into what you really need to determine what you really want. Then purchasing it may be as simple as an AD search on Craigslist or bidding on Ebay. Which, by the way, is a viable means to an end. My last laptop I purchased bidding on Ebay. I still use it to this day and I have had it for over 6 years. Other than no built in video, it still meets my needs. What would meet your needs? You may find it liquidated at BestBuy or Office Depot. When you hand over your computer to a repair service, do you realize that once they get your computer to function, EVERY bit of personal (and possibly financial) information is at their disposal. My advice is to find a local repair person that you feel you can trust; not hand it over to a company that will send it to their repair center. Who is working on it, and will they invade your privacy? At least if you deal with an individual, you have a better chance of not being invaded. If so, at least you have a 'starting source'. If you have been on the web for years, do not listen to anybody who tells you to update or to upgrade your old computer. Pay your internet provider to keep you on the web and to provide you with an email address. Use Google Chrome to bypass Microsoft and to enter the web site of your internet provider. In Canada, mine is Bell.net but I've also used Videotron.ca. Download Firefox. Since Microsoft is no longer willing to support my old Windows XP, I use Firefox as my web browser and it has improved tremendously! It is absolutely free to use and can be filled with great free applications. of your computer. Keep Windows and Microsoft and Google within your computer for future reference. With Firefox you will be able to stop the commercial rampage and destruction of our world wide web. For inexpensive computer parts post a free ad in Craigslist or search your local ads. I see people posting want ads for used computers all the time. Question: Best Computer for My Money? My son has recently started a computer class at school and has asked for a home computer. How and where do you suggest I research the best computer for my money? I have actually found a lot of good information by going to a computer store and talking to a sales representative. Just be sure that you go to the store on a fact finding mission and don't buy a computer until you are ready. Never buy anything as expensive as a computer at the first store you go to. Shop around. You can also learn a lot of from friends or family that have recently purchased computers. Take advantage of any information that you can get from people that you know and trust. If possible, ask your son's teacher for some guidance on what to look for. The teacher will probably be able to explain to you what to look for and has a really good idea of what will be needed for the class. Keep in mind that consumer information about computers becomes obsolete as fast the computers do. There is a lot of general information that is quite useful but when it comes down to specific models and specifications, the newer the information the better. Be sure to check both online and local retail stores and compare prices. It's a competitive market and at any given time, you probably can find a deal where you can get extra RAM or an extra peripheral device for free. If you buy mail order or through a website, be sure to factor in shipping charges and compare shipping charges of the various mail order companies. Buying used or refurbished computer's is an option, but be sure to buy them from an established company with at least a 60 day warranty. Take your time and you should be able to find the right model for your son at a price you can afford. I just recommended to my mom to get a Dell. My opinion is that they are the best computer for the money. You might also want to research wwwzdnet.com and esp. www.cnet.com because both have reviews of all kinds of hardware and their support, and make recommendations with explanations. They also have links to resellers where you can compare prices in a list. A cheaper option would be to go with some place like TigerDirect.com where you can get a bleeding edge Athlon for about $500-600 for a geneic computer, versus major manufacturers who will sell you an average computer for $800. They use the same parts made by outside manufacturers and just slap their name on it. Good luck! other things like TVs & radios as they are usually cheaper to donate than repair. Computers are worth the expense as the policy frequently comes with free tech support. Check for this feature & ask about it. You will soon have those Numbers engraved on your Brains. Someone posted about getting an extended warranty with your computer. The online technical support is great especially if you are a new user ... nice to talk with someone to get you straightened out. The computer comes with a one year warranty. When I bought my Compaq the salesman could not understand why I did not want to purchase the extended three year warranty at the time of my initial purchase (remember the salesman makes a good commission off selling warranties). I contacted Compaq direct close to expiration of the initial one year warranty and purchased direct from Compaq and paid with my Visa. This also saves on having to pay so far in advance for the extended warranty and saves interest. Many times you can purchase the computer with no interest if the account is paid off in six months. Don't add the warranty to the computer at this time is my suggestion. Personally (and I'm no super-geek) I prefer to build or re-build my own boxes. I'm not a gamer or graphic artist so I don't need a hot rod, just something to get the job done. I have an old Pentium III 450Mhz, and it works pretty well though I'd like to double my 256Mb of RAM; that would speed things up a lot. Also I wouldn't buy anything with an MS Windows operating system included. I enjoy using Linux, and some of the newer distros do everything I need to do and then some. I'm currently using Simply Mepis, and it will run from a single CD without installing it on the hard drive so you can test its features before installing it. Keep in mind, though, that it runs a lot faster once installed than it can from a CD. There are other "live" CD Linux distros as well, and many can be downloaded from the Web and burned on your blank CD-R. I've recently installed Novell SuSE 9.3 Professional but haven't had time to play with it. It comes on five CDs and has all kinds of bells and whistles I'll never use, but I'm looking forward to checking it out; it looks great. (They've released at least one later version since this one came out.) Note also that Linux can generally be set up as a dual boot with Windows (on the same hard drive). They won't run at the same time; Windows does not play well with others. On boot-up you simply choose which OS you want to boot into and it takes you there. I still have Windows 2000 SP4 on this drive but I almost never use it anymore. Linux does require a 'learning curve' and takes some getting used to, but many of the newer versions are quite stable and are much less virus- and malware- prone than MS products. As far as I know about the only demand they don't (yet) meet is gaming. If your son will be using it, then I would recommend the largest hard drive you can afford and the most memory you can afford as kids like to keep their music ect on the computer. You can get a very nice machine for 300-500.00 that will have what you need on it. 2.If your son is using windows at school, then I would go with a windows xp system. If you want to run Linux, you can still do so on a windows pc. I usually just order a system with what I want in it as opposed to buying a "Dell" for example, I might buy a machine where some of the parts are made by Dell, and some by other companies. Currently I own an AMD system with 2 hard drives and 512 ddr memory. Your hard drive speed is important for graphics, video, sound, ect-7200 rpm is good. From time to time, Walmart has some great deals on some wonderful systems. And they have layaway, which is nice too. I teach a digital photography class for kids and approve the tech purchases. I forgot to ask! How old is your son>and also, what types of things do you think you will use your computer for? Looking ahead at the possibilities often helps when computer shopping. You may end up doing things on the computer you never thought about! My son has recently gotten into doing digital music and I am sooo glad I have the machine I have, lol. I work on my computer everyday and doing photography, it helps to have those built in card readers, though it isn't necessary,lol. I hope this has been at least a little helpful. I would suggest buying a custom dell. They are great. I recently bought one with 2 gigs ram for 300 dollars. My son-in-law is in pc works. He compared dell versus gateway-gateway won hands down. Needless to say I will always have a gateway. The best. You want the best computer for the money get a Apple. I have to agree with Alph's post above. I wouldn't buy anything with Windows on it, especially Vista! I would also not send a fortune on a machine as this is his first machine and the computer technology changes faster than one changes their dirty socks. I also would not buy a machine from Dell, Gateway or any big name brand. You are sending $$$ for the name only, not on the best hardware available. These big name companies are selling re-branded equipment. 99% of the time getting the extended warranty is a waste of money. I would also use Linux for my OS of choice (PCLinuxOS), and if I need for whatever reason run something that only works in Windows, I would run that in a virtual environment. Good luck in which ever way you go. Just remember that buying the newest or latest equipment is always the best solution. This is not an area that one has to buy to keep up with the Jones next door. My computer has died. Right now, I am going to the library to check my mail. I don't have much money to buy a new one. So far the best deal I have found is a Compaq from Walmart for about $500. That is where I bought my last one, and it lasted me quite a while. But it will cost me just under $500 to fix it. The new one comes with a 17 inch monitor, twice the memory of my old one (40 GB), a faster processor, a video card (didn't have that), etc. So, I was just wondering if anyone knew of an even better deal somewhere else. If it was even just for the tower, that would be OK, as long as my hp monitor, keyboard, scanner, mouse, and digital camera would be compatible. I have searched, but boy there are a lot of computer store sites out there! It's just as the name impiles.. FREE !! You could also consider talking to your local high school. Sometimes the tech ed department will fix computers for community members. Its very possible that something minor is creating major problems. Some of these kids really know what they're doing! Stay away from Compaq. Have you tried EBay. I bought a brand new digital camera on EBay and it is great. You might also try Outpost.com which is Fry's web store. They always have good deals. I don't know where you are so I don't know specifically where to direct you, but find a good computer repairman/builder in your home town and see what he can do. Get a good computer from a reputable tech and if it has any problems take it back to where you got it. We have a guy like that in this town, and if I need a box and don't feel like building it myself I'd be beating his door down in the morning. Go with the independents. You don't want an HP, a Dell, or a Compac. If you were in my town (Greenwood, SC) I'd introduce you to my friend Bob. Bob would fix you right up. He's one of the best. Good luck and hope you find a solution. You can also check with your local college, they may do repairs. The universities around here just throw them out, you can check with their mantenance dept. I got a printer for free, they had upgraded to a faster model. We built most of our computer ourselves...don't panic its not hard!!! I did it and I am not the sharpest tack in the box. We bought our computer half built from www.newegg.com. Then we put it the appropriate video card, memory, and modem. We now own a computer that would cost about 2000.00 at Dell that we built for around 500.00. Thanks for all the wonderful ideas! We did go to our local computer store and he quoted us $500. It would be the same or cheaper to buy a new computer! The reason it would be so expensive, is we have Windows ME, and he won't fix it without upgrading to Windows XP. Too many problems. So that means a memory upgrade as well. All the parts came to about $450, and labor was about $50 (one hour's worth). We checked out eBay, and have you ever really looked there for a computer??? It is a minefield!! I bought a laptop from there (which I ended up selling to my Mom) about 4 years ago, brand new and in the box. Great buy, but I also never got over the worry (after someone mentioned it to me later) that it might have been "hot". Don't get me wrong, I LOVE eBay, and am also a seller there. But there is something a little off about a person selling a brand-new in the box computer for half price and only having one and not having a store. I just don't want to risk it again. Just me. A word of warning about Walmart computers. A good friend of mine is a manager at Walmart. I talked to him last night about it all, and he said he and another friend of our's both had also bought this same Walmart hp deal about 4 years ago, and their computers have already died. He was surprised mine had lasted so long. Ends up the fan is too small to properly ventilate the tower, so it overheats. The Walmart deals look good, but they are built cheap and are not expected to last more than a few years. The old adage is true: "you get what you pay for!" Thanks to everyone that responded! Oh, by the way, I am in NE Wisconsin. Too far to meet Bob. :( Thanks though! !